Winter is the perfect time to slather your hands and feet in the best restorative foot creams in India, packed with hyper-moisturizing ingredients melded to nourish that stubborn hide on the underside of your foot. Once your dry and cracking soles are clean and ready for priming, pick your favourite cream and give them some bedtime TLC. Then, put on your socks on to lock in all that moisture, so you can wake up with soft and supple skin you'll want to keep touching — so long and farewell, crusty feet. Ahead, the 12 best foot creams in India to get now. 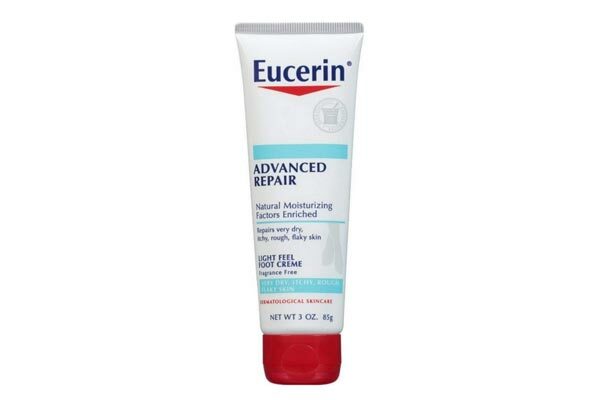 If your feet are excessively rough, dry, flaking or itchy, we recommend this Intensive Repair Foot Crème, among the best foot creams in India. It's dermatologically-tested and clinically proven to nourish problematic skin. The formula is free from fragrance and parabens, so sensitive soles can rest easy. Don't forget to use sunscreen and limit daylight exposure when using this, since exfoliating ingredient alpha hydroxy acid increases your skin's sensitivity to the sun. Soothe your skin with this minty formula, among the best foot creams in India from The Body Shop. A blend of glycerin, almond oil, peppermint oil, cocoa butter, and other very edible ingredients, this formula will smooth and exfoliate the underside of your foot. It smells great, too. We found a humectant on the ingredient list, which means all that rubbed-in moisture will be retained. For best results, use it at night with socks on. 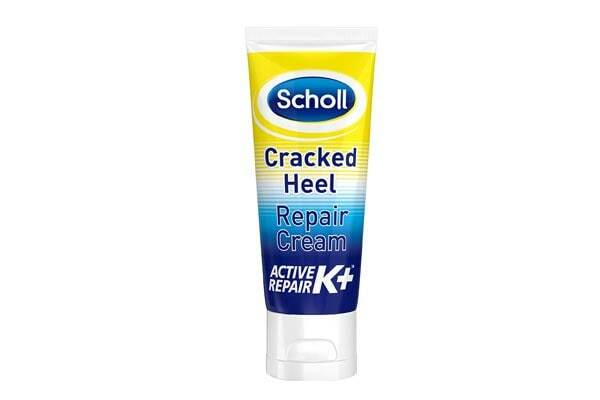 Dr. Scholl's is everyone's go-to guide when it comes to foot care, so this DreamWalk Ultra Overnight Foot Cream is among the best foot creams in India worth splurging on, especially if your skin is extra-problematic. With aloe and palm oil extracts, it delivers moisture to even the thickest and roughest spots. Your hide recuperates and regenerates while you sleep, so use it at bedtime for best results. 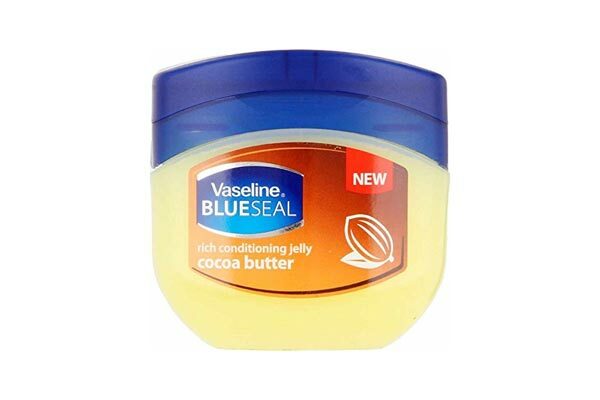 Petroleum jelly blended with cocoa butter is the best thing to have happened since petroleum jelly, so we're recommending this nifty, little tub by OG Vaseline. (They've been around for 140 years, props.) Before you go to bed, slather it all over your feet and feel the formula melt your soles. Then put on your socks and prepare to wake up with the smoothest, softest feet you've ever known. 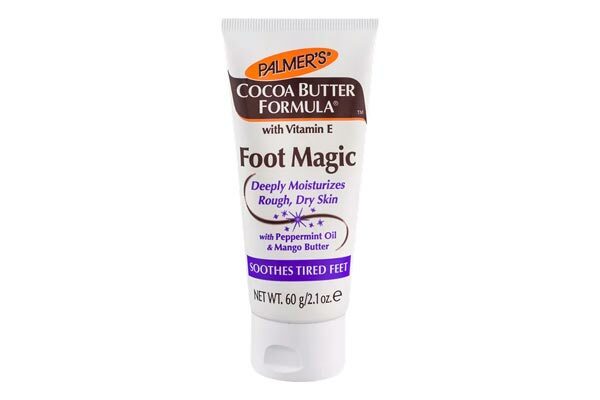 Dry, rough and aching feet are perfect candidates for Palmer's creamy formula with peppermint oil and and mango butter. Packed with vitamin E in a delicious cocoa butter base, the formula is among the best foot creams in India and will penetrate the thickest of skin to deliver super-hydration and ultra-softness. It's also paraben-free, so sensitive, tired feet can rejoice. If you're on a shoestring budget, this affordable option for cracked heels is perfect for you. 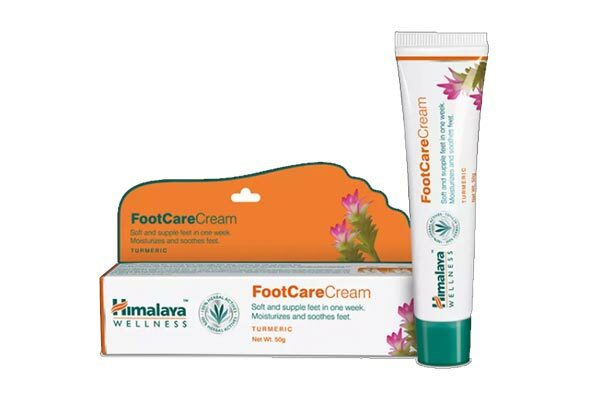 Himalaya's herbal foot is infused with natural extracts like honey, turmeric, fenugreek seeds and ginger that work to soothe and soften rough skin — honey packs in moisture while turmeric soothes any inflammation you may have. Slather this on generously after your nightly cleanup. 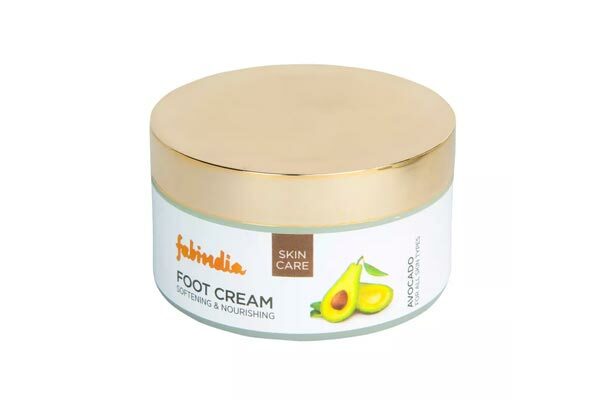 Among the best foot creams in India, FabIndia's foot cream receives a 4.5/5 rating from 100+ smitten users on Nykaa. The formula blends avocado, beeswax and glycerin that nourish dry, rough and cracking feet. After you've cleaned your toes, soles and ankles, slather this on like there's no tomorrow. It's affordable and comes in a neat, round box with a cap that unscrews open. 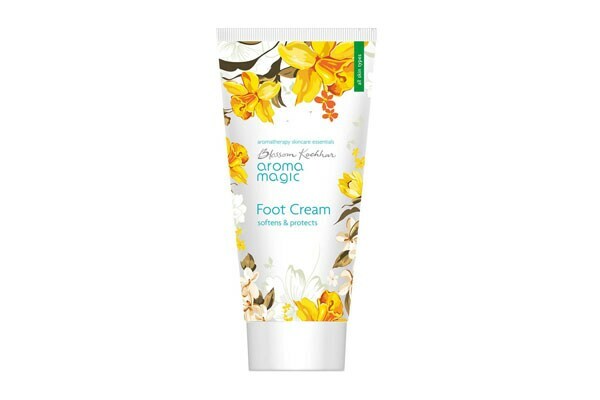 The Aroma Magic Foot Cream is free of parabens, petrochemicals, phthalates, toxic ingredients, artificial colouring and fragrances, and packed with the best ingredients - organic shea butter, aloe vera gel, vegetable glycerin, coconut oil and apricot oil, extracts of camphor, mint and calendula and peppermint, tea tree essential oils. It helps revive tired feet, prevents odour, and protects and heals cracks. 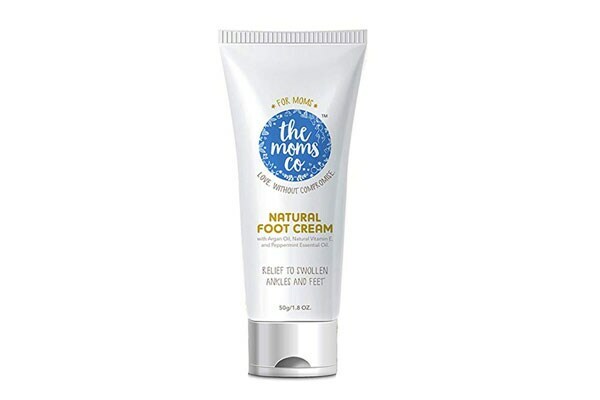 The Moms Co. Natural Cooling Foot Cream is one of the best foot creams in India for anyone looking for relief from cracked heels, swollen feet and tired feet and ankles. Nourish your feet with its perfect blend of Vitamin E, shea butter, peppermint essential oil and sweet almond, argan and olive oil extracts. The cooling formula is free from Mineral Oil, Sulphates, Parabens, DEA/TEA, Phenoxyethanol, Synthetic Fragrances. 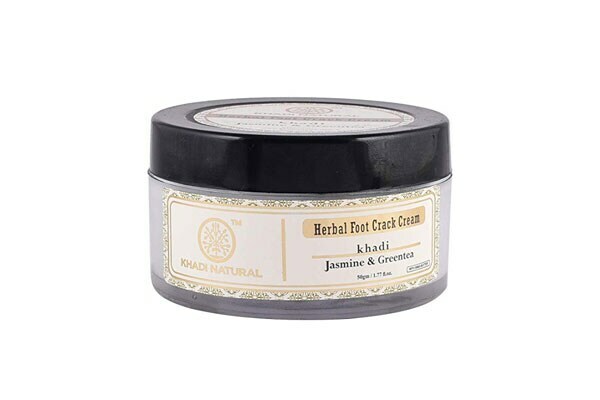 The Khadi Natural Jasmine and Green Tea Herbal Foot Crack Cream, 50g is among the best foot creams in India formulated made with natural ingredients - namely jasmine and green tea extracts. It softens rough soles, restores moisture, relieves aching heels, and freshens tired feet. Use it twice a day, after your morning/evening showers, for best results. With long-term application, you'll see your feet transform. The Avon Cracked Heel Cream (set of 2)is one of the best foot creams in India for hardworking feet from leading global cosmetic manufacturer, Avon. We think this one's great if you're looking for budget options to nourish drying, cracking soles. Once you're done cleansing your feet with lukewarm water, slather them with this gentle formula, engineered for sensitive skin. The fragranced Oriflame Feet Up Advanced Cracked Heel Repair Foot Cream, 75ml is formulated with nourishing ingredients Shea Butter + Urea + Panthenol, which combine to deliver super-moisture to drying, cracking feet. Pump some product onto your problem areas and gently massage it in after you're done cleansing your feet. Clinically, consumer and dermatologically tested. That was the best foot creams in India, so you can give your dry feet and cracking heels all the extra moisture they need. And while you're at it, give us a shoutout at our Twitter handle @HotDeals360 to tell us all about your favourite foot products. We'd love to(e) chat.